Globe Telecom is the #1 postpaid brand in the country based on revenue market share, the global metric used in determining market leadership across telcos worldwide. Globe posted postpaid revenues of P7.8 billion in the first quarter of 2015 versus Smart’s P3.3 billion and Sun’s P2.4 billion. Globe postpaid revenues have grown by 11% versus Sun’s 10% growth from previous year’s levels. The revenue figures show Globe has cornered the mobile postpaid segment with revenue market share of 57.8%, leaving Smart with a 24.6% revenue share and Sun with a 17.6% revenue share. 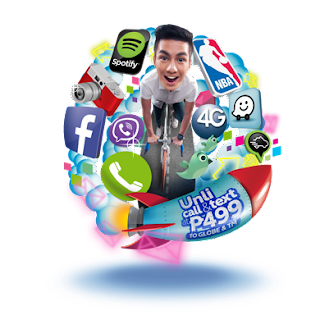 Globe Senior Advisor for Consumer Business Dan Horan pointed out that Globe has been consistently growing its postpaid business both in number of customers and ARPU (average revenue per user), an important indicator of customer preference and stickiness to the network. SM Cinema and Snack Time celebrates the Minions 2 Movie at IMAX! 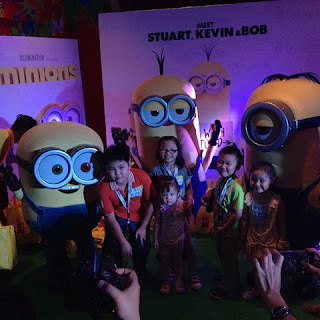 In anticipation of the most awaited “Minions” movie mania, SM Cinema’s official snack bar, Snack Time, filled the IMAX theatre with kiddie fans of the adorable banana-loving creatures and hosted a free afternoon ba-ba-bash of jam-packed activities, endless snacks, fun prizes and loot bags. The Heneral Luna school tour kicks off from June to August in thirty schools nationwide. Organized in cooperation with Dakila, the forum titled “Bayani Ba ‘To?” aims to inspire cultural healing and critical thinking, reawaken patriotism and rekindle a deeper appreciation for Filipino history and culture among today’s youth. 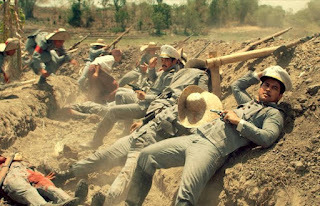 Directed by Jerrold Tarog, the historical action epic based on the life and works of General Antonio Luna features John Arcilla in the title role, with a powerhouse cast of seasoned actors including Mon Confiado (as Emilio Aguinaldo), Epy Quizon (as Apolinario Mabini), Leo Martinez (as Pedro Paterno), Nonie Buencamino (as Felipe Buencamino), Bing Pimentel (as Doña Laureana Luna), Mylene Dizon, and young actors Ketchup Eusebio, Arron Villaflor and Paulo Avelino. Asia’s leading online fashion destination, ZALORA Philippines, officially opened the doors of its ZALORA Pop-Up Store today at EDSA Shangri-la Mall. Recognized as the very first digital pop-up store in the Philippines, it represents the company’s latest efforts in continuing to build E-Commerce in the country using an omnichannel approach to ease customers into online shopping. “The ZALORA Pop-Up Store marks another milestone in our company’s young history. Since we started operations in 2012, we’ve continued to look for innovative ways to grow E-Commerce in the Philippines and through this initiative, we hope to widen our customer reach, educate them on the benefits of online shopping and dress them in the latest fashion trends, in the quickest and most convenient way possible,” said Paulo Campos, Co-Founder and CEO of ZALORA Philippines. It has been a while since I've made a post for personal opinion in Blah Blah Blogs. It was quire timely that the hot topic of legalization of gay marriage in the United States via its Supreme Court made it official throughout the whole nation. Though there has been several states that made it legal prior to this decision. It has become a big buzz throughout the world with big brands and key personalities show support and celebration to the triumph of equality. Cotton Council International (CCI), the marketing and promotions arm of the United States cotton industry, is revitalizing and re-launching today its 26-year old flagship brand, COTTON USA. 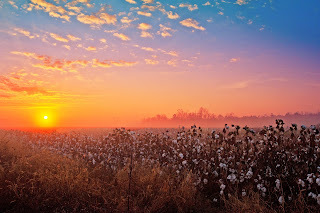 Since 1989, over 50,000 product lines and 3 billion products have proudly carried the name COTTON USA. This translates into about 100 million bales of cotton spun, woven, cut, sewn, and enjoyed by people all over the world. In the Philippines, the COTTON USA Mark was introduced to garment manufacturers and consumers in 1994. The Mark, often displayed on garments and merchandizing shelves, has been a symbol that assured Filipinos that the items being purchased were 100% cotton, 50% of which was cotton sourced from the United States of America. The guys who wowed audiences around the world in the rousing hit “Magic Mike” are back. This time, they’re turning up the heat and taking it on the road in Warner Bros. Pictures' new all-male romp “Magic Mike XXL” – with a revealing new story, a fresh perspective on the future and a bigger, bolder set of some of the hottest and most exciting dance moves ever captured on the big screen. “Magic Mike XXL” reunites original stars Channing Tatum, Matt Bomer, Joe Manganiello, Kevin Nash, Adam Rodriguez and Gabriel Iglesias. Picking up the story three years after Mike (Tatum) bowed out of the stripper life at the top of his game, “Magic Mike XXL” finds the remaining Kings of Tampa likewise ready to throw in the towel. But they want to do it their way: burning down the house in one last blow-out performance in Myrtle Beach, and with legendary headliner Magic Mike sharing the spotlight with them. Catch the biggest stars in the rock and roll, hip hop, and OPM as they will be bringing the biggest party in the Negros Region with T5 Polarity! 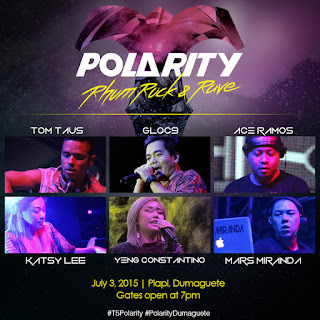 Included in the line up are Yeng Constantino, Gloc-9, Ace Ramos, Tom Taus, Katsy Lee and Mars Miranda. It was a cold London afternoon in 1971 when two brothers, Bruno and Sergio Costa, decided to create something truly remarkable. Their love for premium coffee led them to sell their product to local caterers and soon after, to open their very first café. Since then, Costa has become a leading global coffee shop brand with over 40 years of expertise. 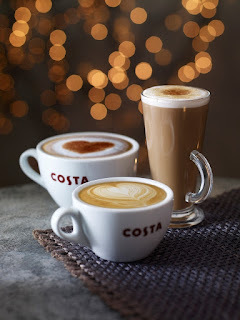 Our irresistible coffee is served in over 3,000 Costa stores around the world. The Costa brothers’ dream was to bring irresistible coffee and community spirit to the people of London – today the vision is bold and simple. 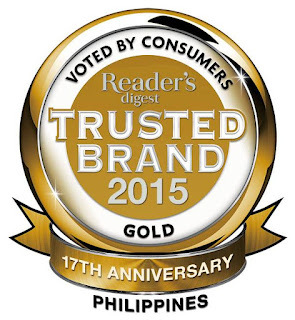 To be the world’s favorite coffee shop brand…and this legacy has finally arrived on Philippine shores. 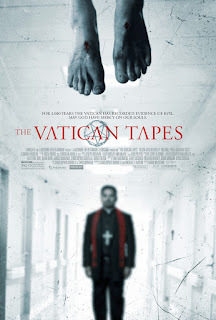 Enter the terrifying world of “The Vatican Tapes.” From the filmmakers of the hit “The Exorcism of Emily Rose,” Horror-thriller “The Vatican Tapes” dives into a modern day story of good and evil, while exploring the devastating and widespread consequences of a demonic possession. “The Vatican Tapes” follows the ultimate battle between good and evil - God versus Satan. Angela Holmes (Olivia Taylor Dudley) is an ordinary 27-year-old until she begins to have a devastating effect on anyone close, causing serious injury and death. Holmes is examined and possession is suspected, but when the Vatican is called upon to exorcise the demon, the possession proves to be an ancient satanic force more powerful than ever imagined. It’s all up to Father Lozano (Michael Peῆa) to wage war for more than just Angela’s soul, but for the world as we know it. The film also stars Djimon Hounsou. In pursuit of updating the industry partners on the updates of the current education reform, Education Secretary Br. Armin Luistro FSC shared the triumphs of K to 12 in a gathering of education partners and stakeholders held recently in Cebu. Luistro presented the current situation of the K to 12 roll-out, the decrease of out-of-school children and the department’s update on the basic inputs -- learner materials, school seats, teacher hiring, classroom construction, among others. He also explained the Senior High School (SHS) Program and the vital role of the industry partners in the implementation of SHS. Dominica Chua from Ramon Aboitiz Foundation, Inc. emphasized the support they will provide for DepEd’s ongoing campaign. Chua mentioned that 60% of their budget is dedicated to education. “We are your biggest fan,” she added. Most notable of their education efforts are the more than 600 classrooms for public high school lined-up for next year. The world’s fate hangs in the balance in the upcoming hilarious comedy “Absolutely Anything” starring Kate Beckinsale, Simon Pegg, Rob Riggle, Sanjeev Bhaskar and Eddie Izzard. In “Absolutely Anything,” one man’s actions stand between the survival of Earth and its absolute destruction. The thing is, he hasn’t a clue. Sharon, Kylie, Janet and Maureen make up the Intergalactic Council, a nasty bunch of creatures who have decided that the earth and its inhabitants should be eliminated. Intergalactic Law stated however that before a destruction order can be placed, the inhabitants of the planet they have in mind must be given a chance to prove themselves. One person must be chosen at random and given absolute power to do anything they wish with just a wave of their hand. And so, with the whirl of a futuristic Rolodex, Neil Clarke (Pegg), an unassuming, disillusioned teacher in North London becomes that person. No one achieves success more than those who claim it. The best athletes are relentless amid failures; the best tycoons persist amid rejections; the best men are tenacious amid defeats until they achieve success. The grueling travel to that dream come true is full of countless losses and frustrations, but as they say, fortune favors the bold, and a man full of confidence is a man who is capable to win. Nothing exudes this kind of power more than showing up at work, dressed to take charge. A man dashed with dapper and suave can earn respect among peers just as he can shape the kind of work he brings and life he will live. 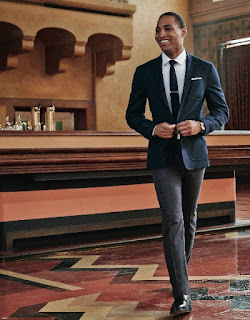 The well-dressed man not only embodies self-confidence, he makes sure to give his best. In 2012, one adorable, albeit incredibly foulmouthed, teddy bear took the world by storm. 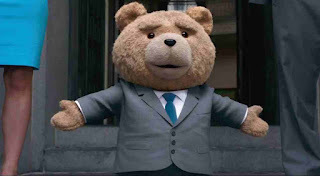 With his classic, furry good looks, unparalleled swagger and penchant for pot-fueled humor and sexually charged antics, an unlikely leading man catapulted Universal Pictures and Media Rights Capital’s small comedy “Ted” about a stoner dude and his best friend to its status as the highest-grossing original “R”-rated comedy of all time. 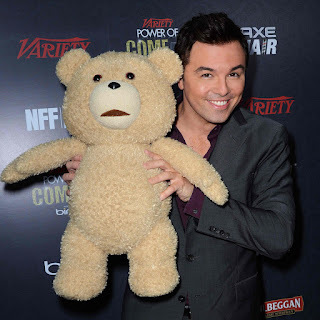 This July, Seth MacFarlane returns as writer, director and voice star of “Ted 2,” the follow-up to the blockbuster that launched the career of the world’s most outrageous bear. Joined once again by Mark Wahlberg as John Bennett, the thunder buddies for life are entering into uncharted territory. Four new character posters for Guillermo del Toro’s upcoming haunted house film “Crimson Peak” were just launched, featuring Tom Hiddleston, Mia Wasikowska, Jessica Chastain and Charlie Hunnam all in gothic, if not chilling, beauty. Legendary Pictures’ “Crimson Peak,” a co-production with Universal Pictures, is a haunting gothic horror story directed by the master of dark fairy tales, Guillermo del Toro (“Pan’s Labyrinth,” “Hellboy” series, “Pacific Rim”), written by del Toro and Matthew Robbins and starring Mia Wasikowska, Jessica Chastain, Tom Hiddleston and Charlie Hunnam. After “Ted’s” phenomenal success at the worldwide box office and in-home entertainment in 2012, it was natural that conversations among the filmmakers and Universal Pictures would turn to a sequel. They say that mothers know best and TV host Amy Perez couldn’t agree more. Being a mother to three amazing boys, a wife to a great husband and a career woman, the 45-year-old TV and radio host tries so hard to keep a balance between her family life and profession. However, she acknowledges that juggling jobs can be a real piece of work that might sacrifice other things such as health and wellness. But the “Umagang Kay Ganda” host says that it’s all about balance and knowing one’s priorities. “Mahirap siya if hindi mo magawang i-balance lahat. Time management lang naman ‘yan so I’m happy now na ‘yung workload ko is all in the morning,” she says. Watch the cast and director of Warner Bros. Pictures' “Magic Mike XXL” discuss the film in the newly released featurette titled “Making the Magic” which may be viewed at https://youtu.be/npvqzoSAyGs. Trust. It takes years to build, seconds to break, and forever to repair. Our lives are fueled by trust and our decisions, whether personal or professional are influenced by the confidence we have in these relationships. In an era where too much information has its benefits and disadvantages, trust is that one factor that remains constant. Once trust is established, it becomes an instinctive response – the consumer buys the brand without so much as a second thought because they can relate to it as "their" brand. For consumers, the mark of a trusted brand is a seal of excellence, and a relationship that goes far beyond price, trends and marketing campaigns. For business, trust is the ultimate vote of confidence. A forward-facing measure imbued with expectation, promise and satisfaction and a solid reputation of distinction. 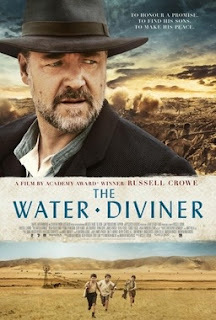 Russel Crowe has established his prowess in acting in many ways, but there is something different when he made a movie, The Water Diviner which he directed and starred. Set in two very far countries, It showed the story of a Austrailian farmer and diviner who had to send his sons for the first world war. Tragedy strikes when he got a letter that they might have perished in a warzone of Galipolli. Bringing them back dead or alive was his promise to his wife. The movie may have that formulaic approach with family movies, but it did do well in delivery and storytelling. With two contrasting cultures of Australia and Turkey, one would never realize that there can be a connection that can be established between them. Directed by Russell Crowe, Produced by Troy Lum, Andrew Mason, and Keith Rodger. Written by Andrew Anastasios Andrew Knight. Starring Russell Crowe, Olga Kurylenko, Jai Courtney, Cem Yılmaz, and Yılmaz Erdoğan. 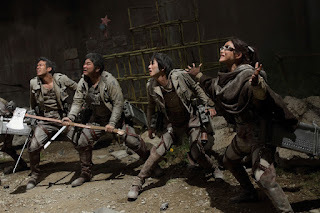 Based on the phenomenal Manga created by Hajime Isayama, “Attack on Titan” is a live-action movie directed by Shinji Higuchi and written by Yusuke Watanabe and Tomohiro Machiyama. More than a hundred years ago since humans have seen the Titans. Set in an unknown future, humanity remembered, when Titans suddenly reappeared. The majority of the human race had been eaten and civilization collapsed. The survivors of the war built three walls to prevent the invasion of the Titans, and kept the peace by securing the living area inside. After a hundred years, the wall has not been broken... until the day the humans feared the most. The story of the live-action movie will be based on the manga but will include some original aspects and will be supervised by the author, Hajime Isayama. “Attack on Titan” will open very soon this August 12 nationwide from Pioneer Films. Australian actor Jai Courtney (Starz’ “Spartacus: Blood and Sand,” “Divergent”) stars in Paramount Pictures’ “Terminator Genisys” as Kyle Reese, a rebel soldier from the future who travesl back in time to save John Connor’s (Jason Clarke) mother Sarah (Emilia Clarke) from the Terminator sent to destroy her. In the highly-stylized and full-adrenaline action film “Die Fighting,” four Shaolin-forged martial artists has just won the top award at a Film Festival. 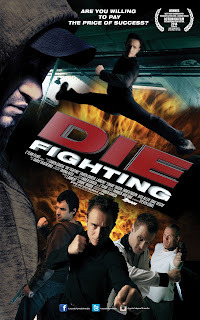 The team, composed of Fabien, Lohan, Didier, and Jess immediately set their sights for Hollywood, but from within the shadows emerges a new challenge: the four find themselves in front of the seemingly inescapable eye of a mysterious director who forces them to “act” in his own brutal reality film, with the lives of their loved ones at stake. Their every move watched through hidden cameras like mice in a maze, the Z-Team are forced to run a gamut through the seedy underbelly of LA – from robbing an armored truck, encountering a Drug Lord, breaking an entire dojo of BLACKBELTS, evading a SWAT team, surviving a blazing gunfight...and it's all a part of the Director’s script. A dark filmmaker's game culminating into a shocking ending which reveals just how high the price of success is. “When people connect with an animal there’s a primal bond that often goes beyond what we experience with other people,” says Boaz Yakin, the co-writer and director of Warner Bros. Pictures’ new, inspiring family film, “Max.” That was the initial inspiration for the movie, which follows the journey of a military working dog (MWD) whose U.S. Marine handler loses his life in Afghanistan. 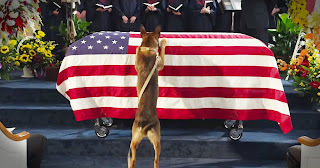 Traumatized, the dog is adopted by the family the Marine left behind. Yakin, a self-proclaimed dog-lover attests, “I wanted to tell a story that was emotional and heightened, while still keeping it rooted in reality.” He turned to longtime friend Sheldon Lettich, who co-wrote the screenplay. 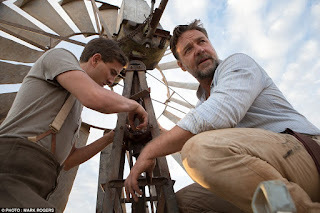 REEL DEAL: Russell Crowe Directs, Stars in Acclaimed Epic "The Water Diviner"
When Oscar-winner Russell Crowe stepped behind the camera to direct "The Water Diviner," he stood on a foundation built on collaborations with some of the most noted directors in the film industry, including Ridley Scott, Ron Howard, Michael Mann and Peter Weir, to name only a few. "I've been fortunate to work with some of the very best in the business," Crowe says, "and you learn from everybody. It's the combination of that knowledge that creates what your voice is as a director. So I can very confidently say that I've stolen something from every single director I've ever worked with," he laughs. Under extreme and extraordinary circumstances, Sam Rockwell stars along with Rosemarie DeWitt and Jared Harris in “Poltergeist,” a story of an ordinary family dealing with unexpected house guests in their newly bought home. Set in America’s nondescript suburbs, the young family-of-five move into a new home only to find it possessed by angry poltergeists. When these angry spirits abduct their youngest daughter, Madison, they recruit a team of scientists and psychics – including the clairvoyant reality star Carrigan Burke (Harris) - to get her back. Katherine Waterston (“Inherent Vice”) will star opposite Eddie Redmayne in Warner Bros. Pictures’ much-anticipated adventure “Fantastic Beasts and Where to Find Them,” set in J.K. Rowling’s Wizarding World. The announcement was made today by Greg Silverman, President of Creative Development and Worldwide Production, Warner Bros. Pictures. Waterston will play the pivotal role of Tina, short for Porpentina, a witch who—unlike the beloved characters from Rowling’s Harry Potter books—works her magic in the U.S. She meets magizoologist Newt Scamander (Redmayne) when he stops in New York City on his travels to find and document magical creatures. “Twilight Saga” co-star Ashley Greene stars in the innovatively yarned horror-comedy “Burying The Ex” alongside Anton Yelchin and Alexandra Daddario. Evelyn (Greene) is the perfect girlfriend at first until she moved in with her boyfriend Max (Yelchin), a socially awkward nice guy who works in a horror movie store. Max soon finds out that Evelyn is a complex controlling character but can’t find a way to break up with her. Fate steps in when Evelyn is involved in a freak accident and dies, leaving Max single and ready to mingle. Several weeks later he has a chance encounter with Olivia (Daddario), a cute and spirited girl who just might be his soulmate. But that same night Evelyn returns from the grave as a dirt-smeared zombie, and she’s determined to live happily ever after with Max. Twenty-six drivers representing 13 teams that will race over 10 rounds are participating in the said event. Entering the Austria event, GP 2 has already completed three rounds, which started last April in Bahrain. 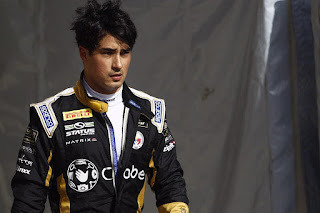 Stockinger, 24, is joined by New Zealand’s 23-year-old driver Richie Stanaway for Status Grand Prix this year. Another school year is just around the corner and soon the students will be back to their daily grind. And there’s a lot to look forward to: new classmates, new teachers, new faces, new books, new subjects and many more. Indeed, it’s a new start for everyone. Mothers, for their part, must make sure that everything is in order. Aside from ticking off the usual checklist of school supplies and uniform, mothers should also prepare for the back to school baon, ensuring that their kids eat the right meals to keep them healthy in school as they brave another year of education. “Mothers must make sure their children get the perfect start. Such preparations include planning in advance for their healthy baon,” says RJ Buenaventura, Philips General Manager for Personal Health. 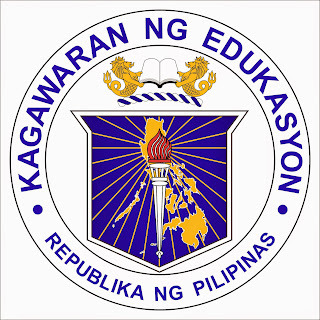 Albay Governor Joey Salceda expressed his full support to the government’s K to 12 program amidst calls for the Supreme Court to declare the program unconstitutional. Salceda said it is necessary to add 2 years to the current basic education program to give Filipino graduates a chance to compete in the international labor market. “Number one talaga para sa kabutihan ng ating mga graduates kasi kung kulang din naman talo sila sa international labor market so hindi sila napo-promote. Sa dami naman ng graduates natin taun-taon na umaabot ng 450,000, kulang sila ng dalawang taon, so kailangan talaga matugunan natin,” Salceda said. Columbia Pictures has just revealed the main trailer for its upcoming feel-good film, “Ricki and the Flash” which may now be seen here at https://youtu.be/0Z73ACs1zGU.